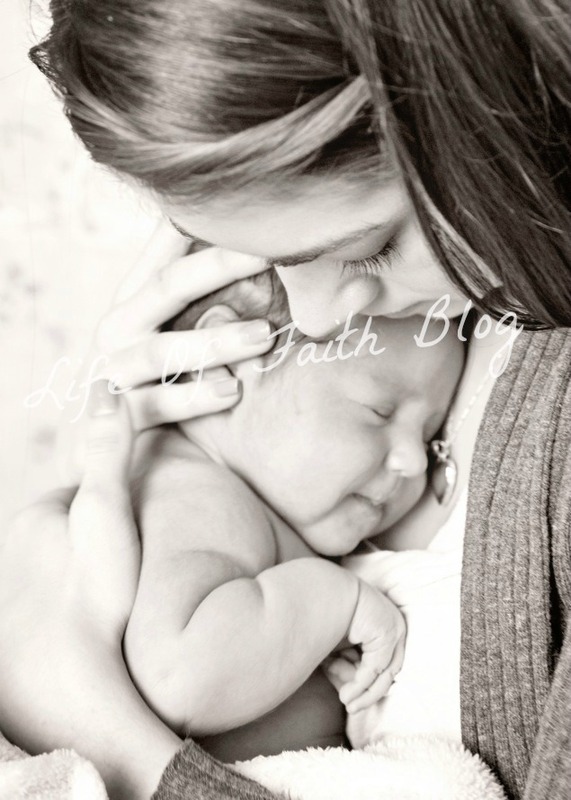 The Life Of Faith: Is being a mom really that important? 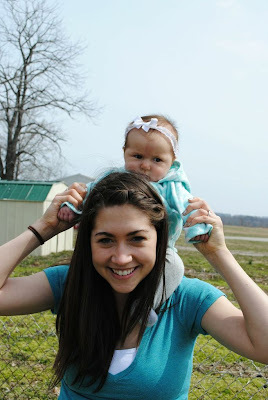 Even before I became a mom, I had an inward struggle with significance. I tend to seek out my feeling of adequacy and acceptance in the world's eyes rather than in Gods. It's a fault that I readily recognize but still struggle with. Really, this post is just as much for me as for anyone else! 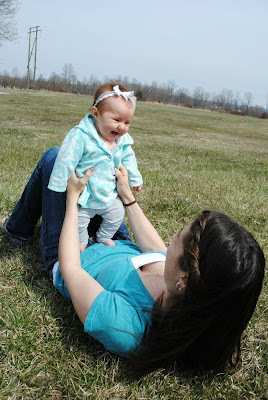 When our sweet pea was born, my hubby and I made the decision that I would be a stay-at-home mama. I didn't want it any other way, and I am so grateful that God allowed us to be in a financial situation where that was possible. However, over the course of the past 8 months, I have come to learn that to a lot of people, a woman without a real "career" is not considered successful. Most of the time, stay-at-home moms are referred to as "just" a mom. As if that's all you do.....and it's really nothing. When people ask me what I do or where I work, I often find myself hanging my head with shame and answering with the cliche phrase "oh, I'm just a mom." 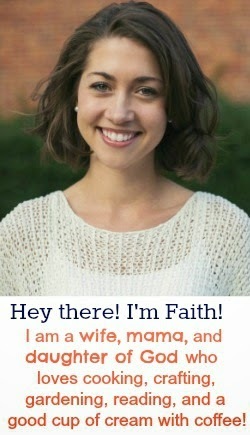 Just a mom? I'm sweet pea's only mom and that's something that no one else can be! When did being a mother change from being the highest calling to something that's an afterthought? And so I struggle with feeling insignificant. Sure I change 10 diapers a day, spend a few hours a day feeding, reading books and playing with sweet pea, but does what I do really matter? Maybe to the world, being a mom isn't that big of a deal, but I believe that to God it is. He even uses the love (comfort) of a mother to describe his own affections for us, his children. We have the opportunity as mothers to be the love of God in our child's life. Every time we comfort, love on, play with, cuddle, and speak truth into our child's life, we are showing them a glimpse of God's love. Not to mention, at the end of the day, I'd rather have this sweet face looking at me knowing that I did the best I could to love and care for her than the approval of the world or any manager or boss. More importantly, if I'm doing what God has called me to do, then nothing else matters. I have come to realize that when I have a chance to serve my daughter or hubby, it's an opportunity to lay aside my self and serve the Lord. Mathew 25:40 says "Truly I tell you, whatever you did for one of the least of these brothers and sisters of mine, you did for me." In our society, children are regarded as "the least of these". While children used to be a blessing, they are no too often treated as a nuisance and an afterthought. I want to encourage moms to go against the norm and recognize that every time you lay down that project to answer a cry, or give up finishing that blog post to change a diaper, it's an opportunity to serve Christ and bring Him glory. There really is no better "career" than that. Anyone can be a successful businesswoman, doctor, banker, or even blogger, but I'm the one God has chosen to be sweet pea's mama. Nobody else can fill that role! It may not feel super significant, but in light of eternity, it is oh so important! Be encouraged mothers! You are not only important to that little person in your life, but your work as a mom also has eternal value as you serve the Lord by serving your children. May we never take our children or the chance to be their mama for granted. Thank you for standing for motherhood & the gift & legacy it is!! Just what I needed to hear today as a stay at home mama, and as a part-time work outside the home mama! I love this post. I'm not a mom, but one day I do hope to be a stay at home mom and I see what you mean about people not thinking this is a worthy job. I don't understand when this happened in our society that being a mom and having children stopped being valued. Such good encouraging words! I think the same way when my kids call me give some grandma time. I want them to call me! It is such a gift. Great post! I agree, the world doesn't place much value on children or motherhood anymore, but it's still one of the greatest things you can do in life and for God's kingdom! To answer your question:yes! I struggled with this recently. We I used to tell people I was an architectural historian people were so impressed. Now when I say I stay home it's a meh reaction. But I see how amazing my son has thrived it has been so totally worth it! I love this SO MUCH! Beautifully written...I especially love the part that anyone can be a businesswoman, banker, doctor, etc, but I am the only one who can be MY child's mother. That alone makes motherhood take on a new significance for me. Thank you for this reminder that I am called to this role for a very important reason, and I am the only one who can do it, and because of that, God has given me all I need to do it well. Thanks so much for sharing and encouraging me with this today. God bless you mama! I love this SO MUCH! Beautifully written...especially the part about how anyone can be a businesswoman, banker, doctor, etc, but I'm the only one who can be MY child's mother...that alone makes it that much more significant. Thanks for this reminder that I have been specifically called and prepared for this role and that I am the ONLY one who can do it. God bless you mama!! I am, first and foremost, a mom. Now, I have to (do to finances) work outside the home. In fact, I'm the primary breadwinner while hubby goes back to school. I'm lucky, though, that I can work my schedule as a nurse to do 3 night shifts on the weekends... allowing me the luxury of full time mommy-dom all week long to homeschool my munchkins. (We have two boys in high school, one daughter grown and gone, 3 elementary school aged daughters and preschool aged son, plus #8 coming in January). They tried to call me in to work two weeks ago. I responded, "It's my son's birthday." Oddly enough, I thought that would be the end of the conversation! I still had to put my foot down twice more and say, "No, it's my son's birthday." I go to work. I do the best job I can do. But then I go home... because that is where my real vocation lies. I do remember, though, when I went back to working and my mother and her ultra feminist friends (I have no idea why ANY of them had children) said, "Oh, good, you've finally stopped wasting your brains at home with those children." Excuse me? Do we really want only the lowest common denominator raising the next generation??? Keep up the good work, mama. I can't wait until my blogging and writing covers enough of the bills and hubby graduates college and I can go back to being "just a mom". It's the best thing in the world! I loved this post! I am very much in a similar position, recently letting go of my career to be a full-time, homeschooling mom. I sometimes think of myself in the past, as the time "when I was important." I know it sounds awful, but in many ways, I, too, believed the world's version of success. God is growing me though, and I have come to accept this new season in my life. Thank you for the encouragement.